The Blacktopia #WCW (Women Crush Wed.) goes to Blacktopian Ms. Ke! 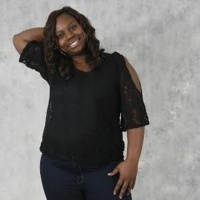 Ms. Ke is a strong black woman and one of her many strengths are displayed in the sounds of her music! She is a very strong songwriter, writer, singer, rapper and overall lyricist. You can test her strength by checking out the video for her recent single "Party Time" here at the embedded video below. Also keep checking back at http://www.southeasthiphopmag.blogspot.com for more updates and information on this rising artist! Labels: Blacktopia, Ms. Ke, Party Time, Rapper, Songwriter, WCW, Women Crush Wed.